​Do you need to comply with the Illinois plumbing code to have your RPZ certified on a yearly basis? 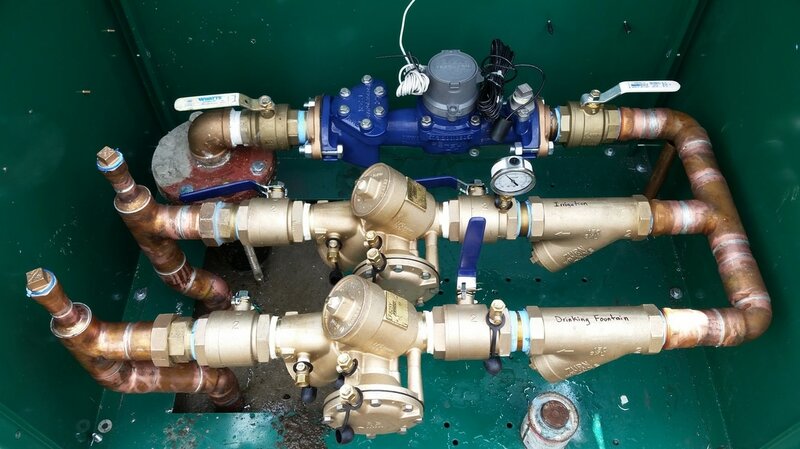 Illinois Environmental Protection Agency (IEPA) regulations require that all RPZ backflow preventers connected to any public water system be tested annually. The IEPA requires that the implementation, execution, and monitoring of these testing stipulations are the responsibility of the local authority managing the public water supply. If your RPZ is part of your sprinkler system and it was disconnected and drained out for the winter, the most appropriate time to have your RPZ tested is in the spring while starting up your system. To meet the IEPA requirements, all domestic supplies with an RPZ backflow preventer must be tested and certified by a State licensed plumber. Aqua Designs offers RPZ Testing with complete state and local filing. Not only do we test the RPZ’s for lawn sprinklers, but we can also test your RPZ for domestic water, fire sprinklers, chillers, etc. ​Please contact us for our rates in your town by calling 815-725-2460 today.